The year 1998 saw the climactic events in the struggle between Lord Voldemort and his Death Eaters and the Order of the Phoenix and Dumbledore's Army, and the end of the Second Wizarding War. Late March: The Skirmish at Malfoy Manor occurs after Harry Potter, Ron Weasley, and Hermione Granger are captured by Snatchers and Dobby comes to their rescue. Peter Pettigrew is killed in the skirmish and Harry, Ron, Hermione, Garrick Ollivander, Dean Thomas, Luna Lovegood, and Griphook arrive at Shell Cottage, where Dobby dies. April: Remus Lupin arrives at Shell Cottage to report that his son to Nymphadora Tonks has just been born. 1 May: Harry, Hermione, and Ron break into Gringotts Wizarding Bank with the help of Griphook and obtain Helga Hufflepuff's Cup. Harry, Hermione, and Ron return to Hogwarts and Neville Longbottom calls Dumbledore's Army and the Order of the Phoenix to arms. Ron opens the Chamber of Secrets, and Hermione destroys Helga Hufflepuff's Cup. Harry, Ron, and Hermione locate Rowena Ravenclaw's Diadem in the Room of Requirement, and it is destroyed in a skirmish with Draco Malfoy, Vincent Crabbe, and Gregory Goyle by cursed fire. Crabbe is incinerated and dies when failing to control the cursed fire. Lord Voldemort inadvertently destroys the piece of his soul in Harry. Neville kills Nagini, the last remaining Horcrux. Harry Potter defeats Lord Voldemort once and for all. The Second Wizarding War ends. Minerva McGonagall is appointed Headmistress of Hogwarts School of Witchcraft and Wizardry. Kingsley Shacklebolt is named Acting Minister for Magic. The 423rd Quidditch World Cup takes place. Malawi wins the Cup after defeating Senegal in the second-ever all-African final. In response to the riots that took place on the night of the 1994 final, security at this World Cup was tighter than ever before, and the Senegalese team mascots, Yumboes, ended up being arrested outside the stadium. The Yumboes responded to the arrest by stealing every bit of food within a ten-mile radius in revenge and vanishing into the night. Hogwarts Quidditch Pitch was destroyed by Lord Voldemort's followers during the Battle of Hogwarts. The stands were burned down and Giants used the goal hoops as weapons. Harry Potter and the Philosopher's Stone is published (as Harry Potter and the Sorcerer's Stone) in the United States. Harry Potter and the Chamber of Secrets is first published. Arthur Bowen, who played Albus Potter was born. Helena Barlow, who played Rose Weasley, was born. 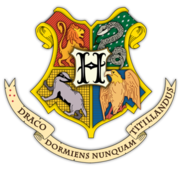 ↑ Pottermore - New from J.K. Rowling: "History of the Quidditch World Cup"
This page was last edited on 17 August 2015, at 11:03. This text is available under the GNU FDL and may have been adapted from the Wikipedia article about 1998 (history).